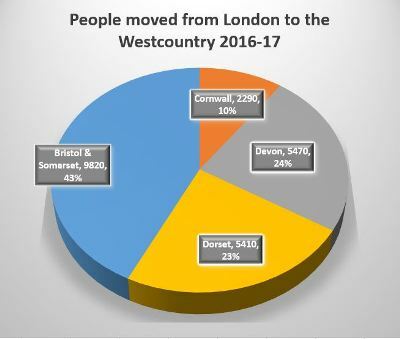 Almost a quarter of a million people moved to the Westcountry during the 12 months to 30th June 2017, nearly 23,000 of those from the London boroughs, according to new figures published by the Office of National Statistics last week. 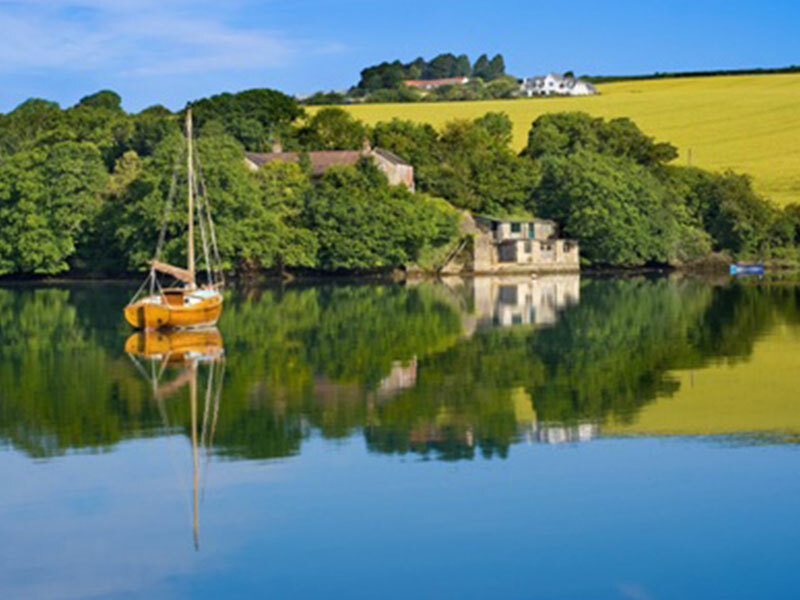 The number of Londoners making the move to areas of Cornwall, Devon, Dorset, Bristol & Somerset increased by almost 15% from the previous year. During those 12 months, 43% (around 9,800) of the 23,000 from the boroughs now live in Bristol & Somerset, more than half of those having moved to the City of Bristol, and another 2,000 to Bath and the North East of the county. Dorset and Devon are fairly equal in the footing, claiming around a quarter each of the new occupants. Almost 3,500 people from the boroughs moved to Bournemouth and Poole, and in Devon the cities also scored top place with just over 1,500 moving to Exeter and more than 1,000 to Plymouth. 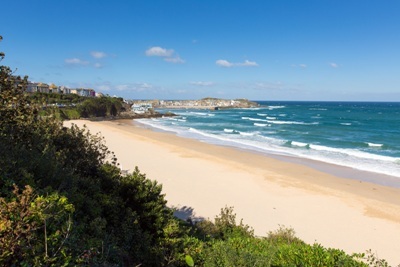 And that leaves almost 10,000 people from the 33 London boroughs alone, who made the move to Cornwall and the rest of the west, among some of the best landscapes in the UK, for a more relaxed way of life. If you dream of a home in the Westcountry, the Experts in Property network of almost 80 independent estate agencies is hosting a Westcountry Property Exhibition next week. Between them, the agencies currently have around 6,000 properties for sale, ranging from a static holiday home on a park in the scenic Dawlish Warren at just under £17,000, to a country estate in the rolling Devon hills near Totnes, on the market for offers in excess of £2.4m, all of which will be showcased at the exhibition. All the Experts in Property offices work together to help buyers find the right home, in the right place, and to make it even easier for those in the capital, several of the Westcountry experts are making their way to Fulham to meet buyers at the exhibition and help them realise their Westcountry dream. The Experts in Property Westcountry Property Exhibition is being held at the offices of Lawsons & Daughters, Hammersmith & Fulham’s leading independent estate agency, from 2pm till 5.30pm on Thursday 26th July. Lawsons & Daughters sits in a superb and easily accessible location on the corner of Fulham Road and North End Road, next to Waitrose, just a short walk from Fulham Broadway Underground Station. To meet Steve and other estate agents from across the Westcountry, and to find your dream home in Cornwall, Devon, Dorset, Bristol or Somerset, pop along to the Experts in Property Westcountry Property Exhibition on 26th July. For further information, visit www.theexpertsinproperty.co.uk.